With the advent of new consumer technologies, information asymmetries have been eliminated from consumers’ shopping experience. Today’s shoppers are less brand-loyal. They jump from retailer to retailer to find the best price, the best products, and the best services. Best customers are neither recognised only by behavior nor by attitude. Intentions based on positive attitudes do not always translate to behavior. And, behavior in the absence of a strong attitudinal foundation is highly vulnerable to competitive threats. With data from the customer management programme, retailers are able to pinpoint more profitable customers, who have both attitudinal and behavioral loyalty, and offer their customers the right combination of financial and non-financial rewards. From apparel, sporting goods, furniture, cosmetics, to consumer electronics retailers, when products are easily replicated and do not necessarily stand out, better storytelling is the secret weapon. Customer management gives retailers the ability to reach customers and suggest offers/products that match customer demands and profiles as soon as they enter the store by quickly assessing all their information, such as size, favorite colour, and favorite brand. Moreover, with a customer management programme, customers will believe that the retailer knows and rewards them better than the retailer’s competitors. Since customers are better served and able to get more benefits, they are willing to give positive recommendations. One of the best—and easiest—ways to increase revenue and profitability is to sell more to existing customers. However, many customers only know about the products they have bought. Simply telling customers about all the products in the retailer’s range can bring in more business. Customer management programmes enable retailers to get more information about their customers’ preferences so they can bundle related products in a package deal and achieve extra sales. The industry is changing. What retailers need is a way to capitalise on the changes while also rising to meet the challenges. If they fail to do so, they will absolutely lose even existing customers to competitors. With the data from the customer management programme, retailers are able to examine and make more profitable decisions based on common movements within the industry. After contemplating the benefits of customer management, the next step is for retailers to understand what they should do to increase customer satisfaction. 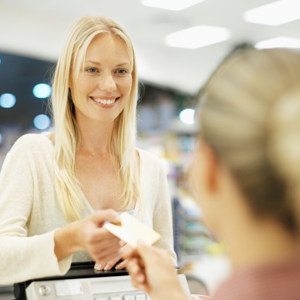 Find out in the white paper “Customer management and its incremental demands on retailers”.